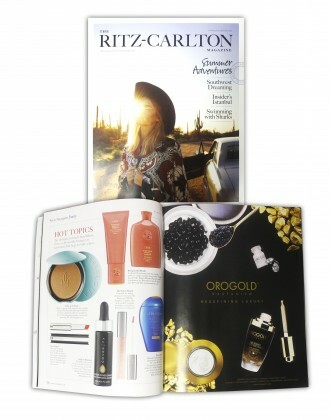 OROGOLD always appreciates each and every feature that we receive from press around the world, and we have felt especially honored this past month to see the fantastic features that we have received in a variety of Russian publications. Cosmopolitan Russia is the best-selling glossy magazine in Russia, and even made its way into world record books in 2005 for being the magazine with the largest number of copies. 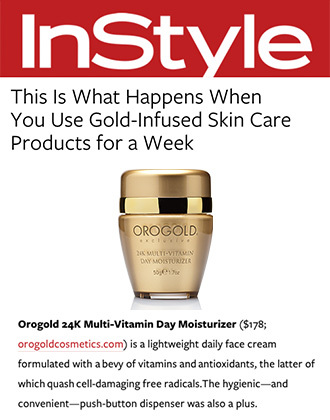 The magazine, just like other international editions of Cosmopolitan, regularly showcases the hottest beauty products, and in a recent issue of Cosmopolitan Russia, OROGOLD is delighted to see three of our products being featured, described as being necessary to protect your skin in the fall. 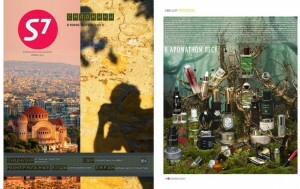 S7 is the monthly in-flight magazine for S7 Airlines, and with its exclusive content and photography, is one of the best publications in Russia’s in-flight sector. The magazine brings travelers the latest cultural and entertainment news from Russia and the rest of the world, and also focuses on travel, food, and the latest luxury products. 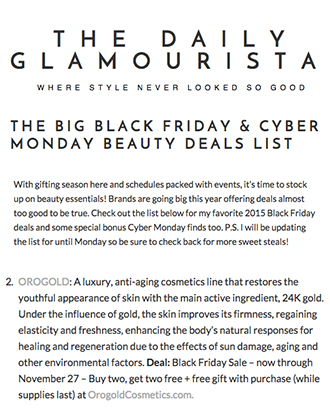 In a recent issue of S7, OROGOLD was honored to see one of our products featured in a “Wishlist” post, which gathered together some of the best skin and beauty products on the market. Allure Magazine was launched in Russia in 2012, becoming the third market for the magazine, after the US and South Korea. The magazine focuses primarily on beauty, making it the first of its kind in Russia, and brings its readers the latest news, trends and products from the industry. In the November issue of Allure Russia, the magazine focussed on “Best of Beauty 2015”, and dedicated a page to showcase the best men’s products of the year. 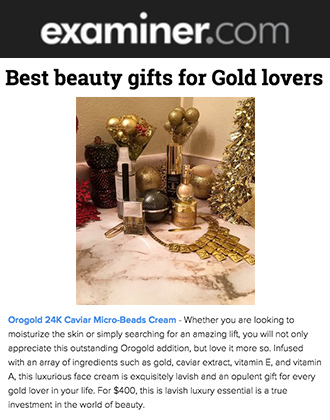 OROGOLD was excited to see that our 24K Men’s Deep Pore Cleanser was the first product to be featured, along with a photo and an explanation of what some of the cleanser’s beneficial ingredients are. For the past ten years, Beauty & Health Magazine has been helping women in Russia to stay healthy and feel beautiful. The magazine strives to help all women find harmony, and does this by focussing on key aspects of the beauty and health industries. From nutrition and diet advice to the latest beauty trends to fitness programs, the content is always informative and useful. 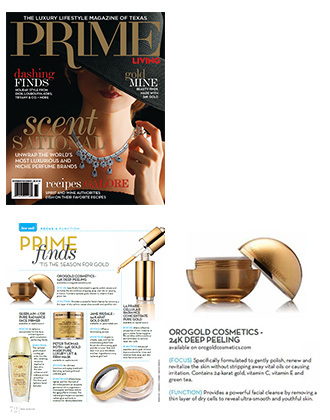 In the November issue of Beauty & Health, OROGOLD was thrilled to see that the magazine featured our 24K DMAE Deep Wrinkle Tightening Solution, an innovative product that tightens the skin and minimizes fine lines. Atmosphere is a Russian lifestyle magazine, bringing women in Russia the latest in fashion, style and celebrity news. 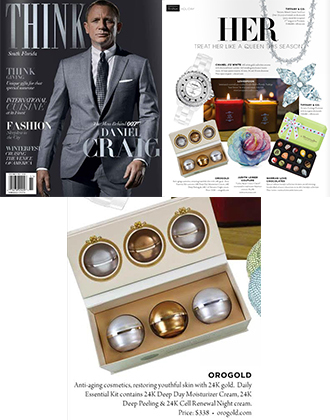 In the latest issue of Atmosphere, the magazine featured some hot new beauty products, one of which was our very own 24K Luxurious Body Butter. The feature explains that the body butter is made with shea butter, one of the best natural moisturizers out there. The luxurious blend of 24K gold and shea butter provides the skin with a deep dose of moisture, keeping it hydrated throughout the day. 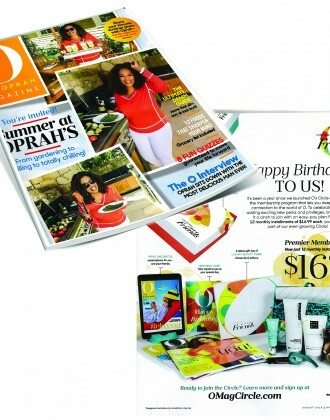 OROGOLD would like to thank each of these publications for featuring our products. 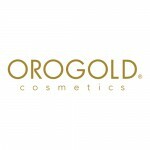 For those of you who would like to know more about any of the products featured, do visit an OROGOLD store when you get the chance, as one of our trained beauticians will be able to talk you through the various products, demonstrating how they would benefit your skin.